A version of this article was published as a Letter to the Editor in The Chariho Times. The Charlestown Citizens Alliance (CCA) Town Council is a political machine that morphed into a power hungry force that disregards the will of the average citizen, pays little or no attention to its volunteer commissions and shows favoritism to its members. If that wasn't bad enough, this council kicks the CCA can down the road when confronted with water issues that plague our town, toxic waste dumps that lurk underground and global warming that is becoming a greater threat at a faster rate......we need a voice. Robert Malin, a Democrat for Town Council will be that voice. Malin is a true environmentalist. He just doesn't talk about it, he lives it. He recently stated, "There's more to the environment then just acquiring open space, we need to preserve and protect these areas not just for human enjoyment but for all of God's creatures." He then added, "We should expand Chariho's Vocational Technology programs to teach more Green Building methods, we need to help residents, businesses and municipal buildings achieve energy independence by installing solar, geo-thermal and appropriate wind technology." As the former Chair of the Economic Improvement Commission, I asked Malin what he thought about improving the business climate in Charlestown? I told him that one of the present council's business initiatives was to lower the business licensing fee from $25.00 to $10.00. Another initiative was to increase user fees for festivals at Ninigret Park. Against the advice of the Parks and Recreation Commission, the EIC and the Charlestown Chamber of Commerce, this council wants to discourage future events from the park. He said, "We need to develop green technology businesses and to support local agriculture and aquaculture. I would like to promote Eco-Tourism and the Arts. These are the future businesses that work hand in hand with an environmentally sound community." On November 8th, please cast your vote for Robert Malin for Town Council and end our towns "one party rule." Some of you may have seen the letter to the editor in the paper where George Tremblay takes a few words technically in error out of my brochure and makes a major case out of it. A full statement will be submitted shortly after it is proofed. What is the CCA's position on Wind Power or Climate Change? Maybe Mr. Tremblay will tell us. Update: Here is a response. Leadership is about understanding the long term consequences of an action and building a consensus around it. Good leadership is when you get it right. If we are to seriously address Climate Change, we need to have all options represented. The Solutions Project http://thesolutionsproject.org/infographic/#ri has offered a template that could achieve 100% Renewables by 2050 and the bulk of it comes from Off Shore wind and Solar but there may be opportunities for Community owned wind projects in an appropriate site, like West Warwick's wind towers in Coventry. However, I am concerned that if we do not have an ordinance at all, other Towns would be redisent to work with us. We should use a model like Holland, a compact country, where they have lived with wind power for 20+ years safely, and adopt modern standards so we can address climate change by reducing our carbon footprint. In 2011, while the Charlestown Citizen Alliance was busy banning wind power (and then writing a highly restrictive ordinance which effectively stopped development), I was testifying against their Not In My Backyard (NIMBY) allies who opposed all wind technology including the Deepwater Wind project. The landmark off-shore wind farm is currently in the headlines, putting RI on the map as the US leader in this important green energy technology. Yesterday, there was a conference in Warwick by the American Wind Energy Association. "We have recognized that the opportunity is vast," said Zayas, director of the DOE's Wind and Water Power Technologies Office." The headline of the Charlestown Press reads "Business leaders, elected officials tour Block Island Wind Farm" where Catherine Bowes senior manager for climate energy at the National Wildlife Federation spoke of the project in glowing terms. Now, more than ever, it is critical that we move to renewables as soon as possible: "...recent data that has been collected but has yet to be made official indicates sea levels could rise by roughly 3 meters or 9 feet by 2050-2060, far higher and quicker than current projections. Until now most projections have warned of sea level rise of up to 4 feet by 2100." It's time for us to get it right. As I have said many times out in the field, If elected I pledge to lead the way to a renewable future. You have seen the construction along Old Post Road for the ChurchWoods senior affordable housing community. I called the Washington County Community Development Corporation, who is administrating the Community Development Block Grant (CDBG), and spoke to Jerry Bertrand. He said that If you are interested in submitting an application call 401-667-7185 ASAP. Bertrand said that they already have 60 applications in. However, he stated that they won't begin the official screening process until next year after they have selected a property manager. The guidelines will likely follow the usual HUD income guidelines, approximately $50,000 for a couple or $25,000 for singles, 50% of the median income. They will not know the actual numbers until 2017. At the invitation of Jack Donoghue, on Monday October 24th, presented this the Senior Commission as they had not been either informed of this or consulted on how the senior housing project could best address seniors needs. - what would be the selection process and where are the guidelines? - would it be for Charlestown residents only? HUD doesn't usually allow this restriction. - what will happen to the 29 seniors identified before the Sandy grant as not being able to afford the flood insurance? CCA Town Council liaison Denise Rhodes, who Jack claimed had only attended 2 meetings arrived late, agreed with my informational update but had nothing to add. Mark Stankiewicz, Town Administrator, who had arrived later, supposed that since was administrated through Housing and Urban Development, HUD, it would likely follow HUD guidelines and use a scoring system. I concurred but added that the Senior Commission needs to get their input included before the scoring guidelines are finalized. Trying to change anything afterward would stall the project and increase the cost- Stankiewicz concurred. There has been no response. However, on Thursday October 28th an article appeared in the South County Press "Construction starts on Churchwoods project" which states this ambitious goal. When are the Senior Commission's questions going to be answered? When is the property manager going to be hired? This is a public project and the public has the right to know. What is clear is that the Town Council needs to communicate more clearly and be more responsive. Ugly but necessary. If you have any skin rashes it is important that you report it to Matt Dowling at the Town Hall 364-1200 ASAP so he can investigate and find the source. Someone (who didn't want to get involved) reported to me that bathers in Ninigret Pond got a nasty rash near Hoxie Road at the end of the summer. South County Hospital said it was a type that was typically caused by sewage. If anyone knows anything about this or similar problems report this as well. This is a potentially dangerous health risk. Boaters have reported that "weeds" are getting caught up in their boat propellers. The weeds are likely "eel grass' which is very good for the pond. The bad news is that they are likely growing faster because of the fertilizer people are dumping on their lawns and that the water is warmer due to climate change. BOTTOM LINE- if you want to help control the vegetative growth on the pond, limit fertilizer use to help your environment and slow global warming. Finally, one resident complained because an out-of-town neighbor mowed down the natural buffer zone along the pond to put in a lawn. I found out that there is supposed to be a 50' buffer zone around the pond. Pond lovers unite - this is important, it's called a buffer zone because it is necessary. The pond has enough stresses on it. When lawns go down to the water it encourages Canadian Geese to hang around and poop in the water and on the lawn. Poop that adds to our salt pond pollution. If I am elected, CRMC has offered to take me on a tour so examine the condition and their recommendation. 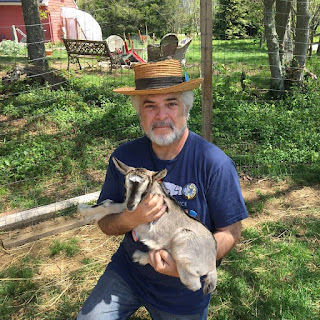 As Charlestown Democratic Town Committee Chair John Hamilton pointed out, there is confusion in our community about who I am actually running against. The Town Council now is all in effect one party- a political Action Committee (PAC) though they appear on the ballot as "Independents." In Rhode Island there are only three recognized political parties, the Democrats, the Republicans and the Moderates. Every other candidate is "unaffiliated" thought they are sometimes called "Independents." PAC's are typically organized by special interest groups to raise money to elect or defeat a candidate, however they function, in the case of CCA as a party of the special interest group that formed them. With a progressive vision for Charlestown we can be a model for an ecologically sound economy sustainable Charlestown that provides a good quality of life for all residents while protecting nature. to build on our rural character and strengthen our economy by helping local farming, aqua-culture and clean-tech enviro-businesses. to address long term problems like water (supply and waste) and the conditions of our ponds and waterways more directly. Too many times the "can has been kicked down the road." There has been some progress here but not enough. In General, putting this off will cost the Town more in the long run and we need to think more about the future generations who will inherit these conditions. There is a lot of talk about preserving the rural character but not enough about expanding aqua-culture, saving and bringing back family farms or using goats for lot clearing instead of power tools and bulldozers. These are characteristic industries of the traditional rural economies which need to be protected. Here is successful entrepreneur Perry Raso of the Matunuck Oyster Bar explaining about his journey and URI's aquaculture program. This is inspiring. There are may artists living in Charlestown and this could be an economic engine if it was supported like we can see in Hopkinson or Westerly. The Charlestown Art Festival is the kind of thing I would like to see more of. It would be great to see an artist Co-Op, perhaps in the old Cross Mills fire station on the corner of Matunuck School House Road and Old Post Road. Climate Change is accelerating at a rapid rate and we cannot afford to foolishly challenge nature by making it worse. It is already devastating our shoreline, threatening our shellfish with ocean acidification and our salt ponds are trapped in between pressured by inundation. There is a better way and I believe that Charlestown should lead the way by "walking the walk." 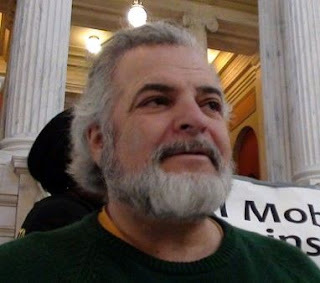 One of the things that inspired me to run for Town Council was our Council's reaction to the proposal to build a Power Plant in Burrillville to exploit fracked gas from Pennsylvania and export the electricity to Massachusetts and Connecticut. The President of the Burrillville Land Trust, Paul Roselli, asked me to present a request for Charlestown to support the wishes of the majority of residents who opposed the power plant. On July 21st I invited the council to attend after representing the Burrillville Land Trust, asking the Town Council to oppose the Invenergy Power Plant. Council President Tom Gentz said that first the Town of Burrillville would have officially oppose it (which just happened) and they would need to learn more as they did not know about the proposal. Myself and several others testified but the council was not inclined to consider it stating that they didn't know anything about the proposal, one of the biggest environmental issues and a political hot potato in the state for 2 years, which I thought was odd for a council that regularly touted themselves as "environmentalists." I then invited them to the Office of Energy Resources public hearing at URI. No one attended.Only Gentz replied. It was sent to the Charlestown Town Council for the OCT 11 meeting agenda. The matter has been requested to be put on the agenda for the next town council meeting. The Charlestown Democratic Town Committee (CDTC) is proud to endorse Robert Malin for the Charlestown Town Council. CDTC Chair John Hamilton said "Robert is a leading environmentalist in Rhode Island and his values are perfectly aligned with Charlestown's rural character." Robert said "If we want to protect nature, the public health and have a sustainable future, we have to start by leading the way, moving to a self- sufficient renewable future with appropriate technology; and reestablishing local agriculture while developing aquaculture which were key parts of the traditional Charlestown economy."